The Dancing Shoes are Coming out of Retirement! 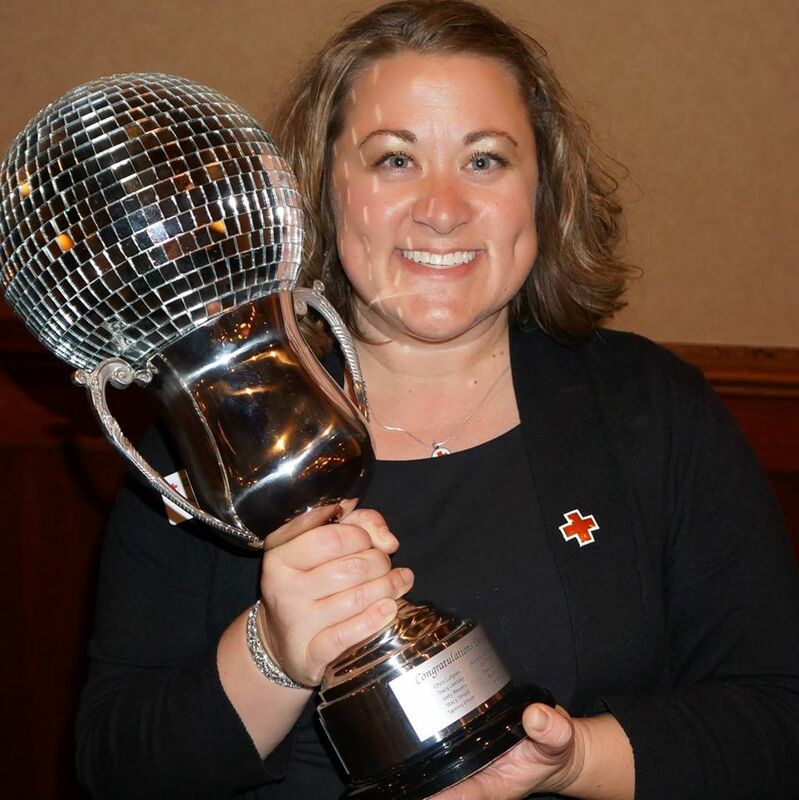 I will be entering the ballroom once again on February 24, 2018 for the 10th Annual Dancing with Our Stars for the American Red Cross. This year will be bitter sweet. We have an amazing crew of All Stars from previous years, but this will also be the last year for this event. I have been apart of this event since it came out of the mouth as an idea from past board member, Jim Gagnon. From our first year at Riverside Ballroom with the dancers dodging the chicken cart, to the production it is today at the KI Center! As the saying goes…. “All good things must come to an end”…. it is time – the event has run its course. 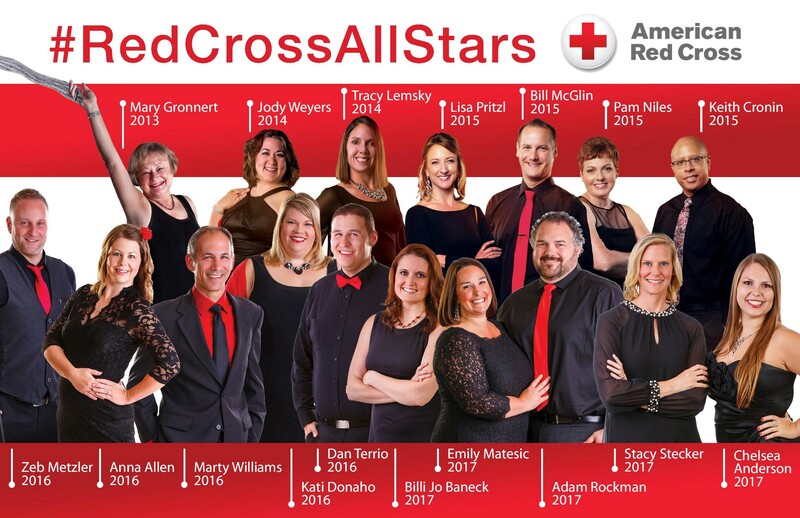 In those 9 years the community has stepped up to show their support for the Red Cross in helping raise over 2 million dollars and we hope to raise our most ever in our last year. The first year I danced was in 2014! That was a special year. I was turning 40 four days before the event, and “40 for 40” served as my fundraising campaign. Not only did I hit my goal of $40,000, I crushed it, raising $54,000 for the American Red Cross. I am still in awe of the generosity of my family, friends, strangers and businesses who supported me. I also had the most EPIC 40th Birthday Party Fundraiser a girl could ever ask for! 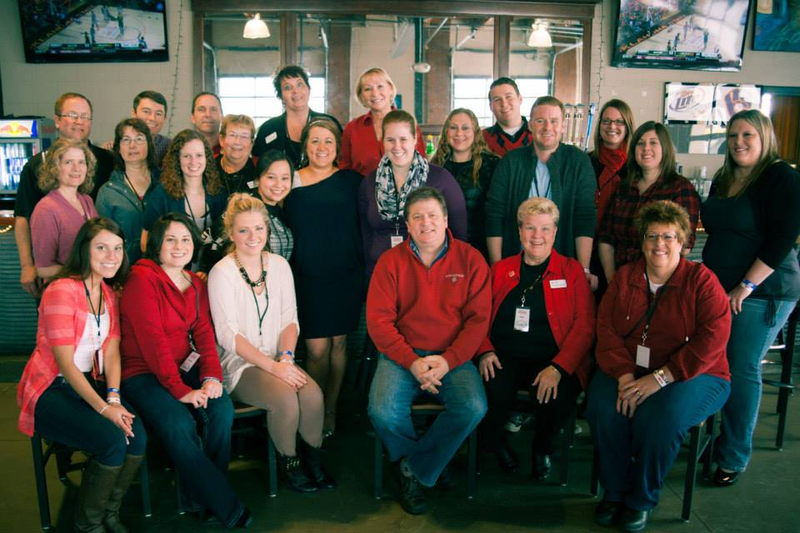 My friends and family that volunteered for my 40th birthday fundraiser! I looked back on event night and my dancing videos and I still think, that was me! I was so nervous the night before I actually puked, but the day of the event, I was like “I got this”. It was seriously one of the best nights of my life. After such an amazing 2014 experience, why would I do it again? Why not? This event not only raised incredible amounts of money for programs and services for the Red Cross, it has also created life long friendships of people, that otherwise probably would never have met. I know I am so grateful to have met every single star dancer and pro partner that has stepped up to take on this challenge. We have a very motivated, hard working and amazing group of “All Stars” that want to see this event go out with the BANG it should! My goal – to help our team raise $600,00 in our last year! If you wish to support me, please give — give to the organization that has given me so much in my 16 years! My humbled thanks!